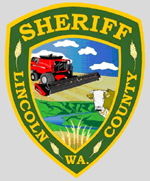 Lincoln County is a county located in the U.S. state of Washington. It is named after Abraham Lincoln. 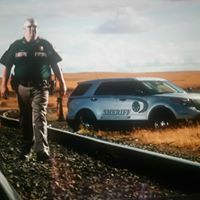 As of 2017, the estimated population was 10,579. 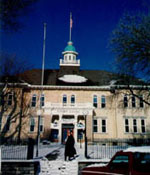 The county seat is at Davenport, which is also the county's largest city. The county is completely dependent on agriculture, primarily wheat farming. Lincoln County is generally considered the second-largest producer of wheat in the United States (following Whitman County, Washington), sometimes producing 25 million bushels a year. Only about 500,000 of 900,000 acres (1,390 sq mi) of farmland in the county are planted in any given year due to the practice of typically harvesting one crop every two years, a necessity in a region with only 12 inches of precipitation annually. 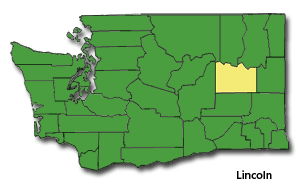 Lincoln County was created out of Whitman County on November 24, 1883. According to the U.S. Census Bureau, the county has a total area of 2,340 square miles, of which, 2,311 square miles of it is land and 29 square miles of it is water. The population density is 5 per square mile.